Voronina Tat'yana Aleksandrovna – MD, Honored Scientist of Russia, professor, head of the Laboratory of Psychopharmacology. Address: Ostrovityanova str., 1, Moscow, 117997, Russia. Litvinova Svetlana Aleksandrovna – Ph.D., Leading Researcher. 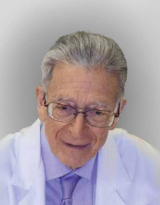 Avakyan Gagik Norairovich – MD, Honored Scientist of Russia, Professor of Neurology, Neurosurgery and Medical Genetics. Address: ul. Ostrovityanova, 1, Moscow, Russia, 117997. 1. Voronina T.A., Smirnov L.D., Dyumaev K.M. Byull. eksper. biol. i med. 1985; ХСIХ (5): 519-522. 2. Voronina T.A. Farmateka. 2009; 180 (6): 1-4. 3. Dyumaev K.M., Voronina T.A., Smirnov L.D. The antioxidants in the prevention and treatment of pathologies of the central nervous system [Antioksidanty v profilaktike i terapii patologii TsNS (in Russian)]. Moscow. 1995; 271 s.
4. Eremenko A.V. Role membranotropnyh properties of 3-hydroxypyridine in the pharmacological effect. PhD Diss. [Rol' membranotropnykh svoistv proizvodnykh 3-oksipiridina v farmakologicheskom effekte (in Russian)]. Moscow. 1988; 22 s.
5. Motin V.G., Kalashnikov N.V., Reznik E.V. Yasnetsov V.V., Khodorov B.I. Nootropil mexidol block the NMDA subtype of glutamate receptors / channels. Proc. rep. IX Congress "Man and Medicine" [Nootrop meksidol blokiruet NMDA podtip glutamatnykh retseptorov/kanalov. Tez. dokl. XI kongressa «Chelovek i lekarstvo» (in Russian)]. Moscow. 2004; 261-262. 6. Novikov V.E., Kulagin K.N., Kovaleva L.A. Activity of lipid peroxidation in the dynamics of traumatic brain injury and its correction meksidolom. Proceedings of the 4th scientific conference with international participation "Reactive oxygen species, nitric oxide, antioxidants and human health" [Aktivnost' lipidnoi peroksidatsii v dinamike cherepno-mozgovoi travmy i ee korrektsiya meksidolom. Trudy 4-i nauchnoprakticheskoi konferentsii s mezhdunarodnym uchastiem «Aktivnye formy kisloroda, oksid azota, antioksidanty i zdorov'e cheloveka» (in Russian)]. Smolensk. 2005; 283-284. 7. Luk'yanova L.D., Atabaeva R.E., Shepeleva S.Yu. Byul. eksper. biol i med. 1993; 3: 259260. 8. Luk'yanova L.D. Vestnik RAMN. 2000; 9: 3-12. 9. Seredenin S.B., Blednov Yu.A., Voronina T.A., Smirnov L.D. Khimiko-farmalogicheskii zhurnal. 1987; 2: 134-137. 10. Shchul'kin A.V. Zhurnal nevrologii i psikhiatrii. 2012; 2: 35-39. 11. Yasnetsov V.V. Vestnik VolGMU. 2009; 2: 72-73. 12. Bashkatova V., Narkevich V., Vitskova G., et al. The influence of anticonvulsant and antioxidant drugs on nitric oxide level and lipid peroxidation in the rat brain during penthylenetetrazole-induced epileptiform model seizures. Prog. Neuropsychopharmacol. Biol. Psychiatry. 2003; 27: 487-492. 13. Biton V. Zonisamide: newer antiepileptic agent with multiple mechanisms of action. Exper. Rev. Neurother. 2004; 4 (6): 935-943. 14. Gillard M., Chatelain P., Fuks B. Binding characteristics of levetiracetam to synaptic vesicle protein 2A (SV2A) in human brain and CHO cells expressing the human recombinant protein. Eur J Pharm. 2006; 256: 102-108. 15. Meehan A. et al. A new mechanism for antiepileptic drug action: vesicular entry may mediate the effects of levetiracetam. J Neurophysiol. 2011; 106 (3): 1227-1239. 16. Nothdurfter S., Baghai T.S., Schule S., Rupprecht R., Translocator protein (18 kDa) (TSPO) as a therapeutic target for anxiety and neurologic disorders. Eur Arch Psychiatry Clin Neurosci. 2012; 262 (2): 107-112. 17. Nowack A., Levetiracetam Reverses Synaptic Deficits Produced by Overexpression of SV2A. PLoS One. 2011; 6 (12): 155-158. 18. Papadopoulos V., Baraldi M., Guilarte T.R., Knudsen T.B., Lacapère J.J., Lindemann P. Translocator protein (18 kDa): new nomenclature for the peripheral-type benzodiazepine receptor based on its structure and molecular function. Trends Pharmacol Sci. 2006; 27: 402-409. 19. Rupprecht R., Papadopoulos V., Rammes G., Baghai T.C., Fan J., Akula N., Groyer G., Adams D., Schumacher M. Translocator protein (18 kDa) (TSPO) as a therapeutic target for neurological and psychiatric disorders. Nat Rev Drug Discov. 2010; 9: 971-988. 20. Ueda Y., Doi T., Tokumaru J., Willmore L. Effect of zonisamide on molecular regulation of glutamate and GABA transporter proteins during epileptogenesis in rats with hippocampal seizures. Mol Brain Res. 2003; 116 (1-2): 77-80. 21. Vogl C. et al. The synaptic vesicle glycoprotein SV2A ligand levetiracetam inhibits presynaptic Ca2+ channels through an intracellular pathway. Mol. Pharmacol. 2012; 82 (2): 199-208. 22. Voronina T.A., Seredenin S.B. Analysis of the mechanism of psychotropic action of 3-hydroxypyridine derivative. Ann. Ist. Super. Sanita. 1988; 24: 461-466. 23. Yunbo Li. Antioxidants in biology and Medicine. Nova Science Publishers. 2011; 423 s.